Time is a main factor for poorly secured loads, according to Columbus McKinnon Corporation. In an attempt to save precious minutes, drivers may cut corners by forgoing routine cargo checks. In trucking, there are many reasons why a driver could be in a hurry. For one, Hours of Service regulations dictate the number of hours a trucker can drive in a day and throughout a week. He or she is also required to take a break after eight hours driving. Drivers may view this rule as a burden because many are paid by the mile. 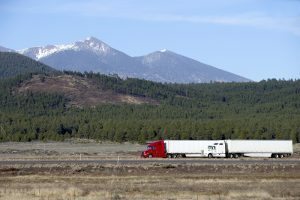 To maximize personal earnings, some truckers may expedite loading processes to spend more time on the road. Cargo that isn’t secured may become damaged in transit and pose larger issues for drivers, motor carriers, shippers and passenger vehicles, such as this 2015 incident in California in which a cargo container fell off a truck and killed a bicyclist, according to the local ABC News affiliate. As a cost-conscious, public safety measure, drivers and fleets need to keep in mind the importance of load securement equipment. In fact, the Federal Motor Carrier Safety Administration (FMCSA) even developed rules detailing best practices including requiring carriers to increase the number of tie-downs when hauling certain types of freight. Securement devices can include cordage, synthetic webbing, wire rope, steel strapping and chain. Carriers aren’t obligated to purchase new tie-downs, but they should still perform standard checks to ensure effectiveness. Drivers should pay special attention to a tie-down’s working load limit, which needs to be clearly visible on the tie-down. For example, chain type tie-downs will indicate a chain grade ranking. This measurement indicates how much of a load chain equipment can handle, and each level will serve a particular shipping need depending on a shipment. Grade 70 chains are most commonly used in the trucking industry compared to other chain grades. The risks of inadequate tie-downs and load securements are severe, especially during a roadside inspection. If an officer can’t find a tie-down’s markings, the inspector will assume it’s Grade 30, which may lead to a semitrailer being taken out of operation. Time is important in the trucking industry, but safety must come first. Drivers and fleets can’t afford to cut corners when securing loads. Chain Grades: What’s the Difference? Your Machines Can Burn Out: Are You Prepared to Prevent Downtime? Contact a Customer Service Representative for additional selections, options and solutions. Call and let us help meet all of your product and solution needs (866-483-7289). Do you want to be eligible for online ordering? Fill out this online form. Order anytime, 24/7, 365 days a year. If you can connect, you can place an order. Create templates, aka “My Lists.” Reduce search time, click, order, done. 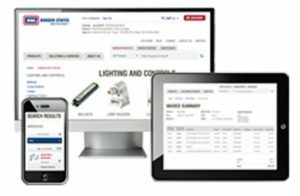 Track purchase history and view your account information. You can review invoices any time, track purchase history, and print or download records.